In the Footsteps of the Shannon family, Morere Northern Hawkes Bay. With considerable anticipation I recently visited Molly Whitelaw’s first home territory of Nūhaka and Morere in Northern Hawkes Bay. I wanted to gain a little insight into the area and some appreciation of the environment that so amazed the family on their arrival in 1921. It’s been many years since I first travelled on the Northern Hawkes Bay roads. Narrow winding roads are imprinted on my mind from childhood travelling, and this road no less then others. 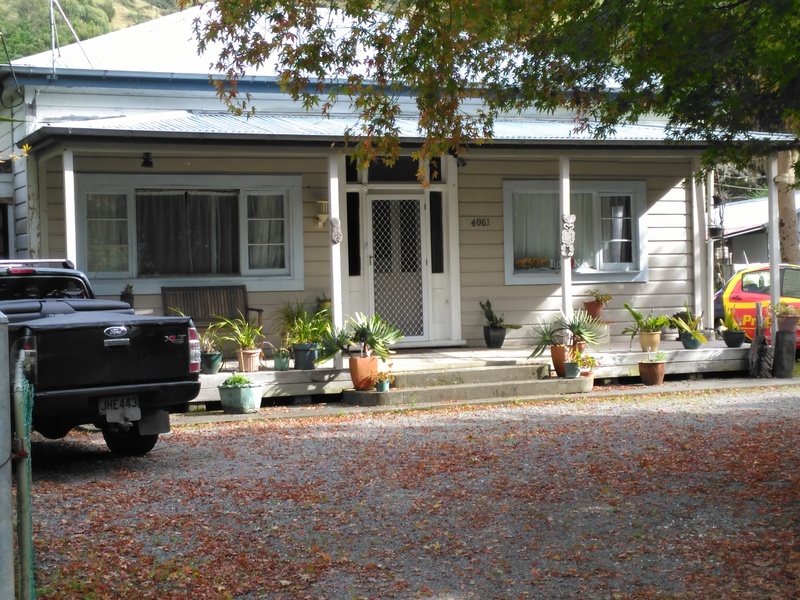 As a child in the mid-1950s my family travelled to the then isolated location of the Tuai Māori Mission House, 10 kilometres from beautiful Lake Waikaremoana in the Te Urewera National Park. I recall that sense of nausea one can have when squeezed into the claustrophobic environment of the back seat of a car and my father demanding quiet as he negotiated the narrow, roughly gravelled roads in our 1939 Ford Deluxe Sedan. It didn’t help on one occasion when my sister reacted with a sudden scream as a moth flew in through the open window. Father was unimpressed! All this came to mind as we drove on the now widened re-aligned, but still winding, tar sealed road from Napier to Morere. The trip today takes approximately two hours, without stopping to admire the amazing terrain and scenery. 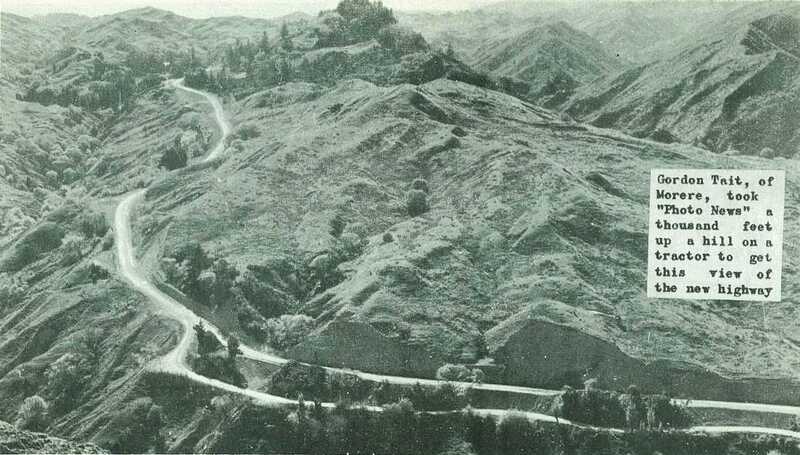 In Molly’s time, 1921, depending on the weather, the journey could require a stopover at Mohaka. We were in the most romantic parish among the deep valleys and razor back mountains of the great sheep-country, on the northern edge of Hawke’s Bay. Our parish extends from north and south, between 30 and 40 miles; from east and west about 30 miles. Embracing the Mahia(sic) Peninsula and Portland Island, with its lighthouse lying out to sea. These ‘razor back mountains’ are indeed impressive. The suns slow movement as it casts its shadows is ever altering the landscape and the shape of these ‘deep valleys’ conveying little of their secrets but offering a challenge to those who settled and remain. These mountains must have been awe-inspiring to our Scottish arrivals. But as we travelled through this amazing countryside I was made aware of how we humans impose our own design on the physical and cultural landscape. I experienced a pang of sadness as I contemplated the decimation of the native bush that once cloaked most of these mountains. Some physical evidence of the first human occupation by the Rakai Paaka hapu of Ngati Kahungunu and Rongomaiwahine is visible in the storage pits and the remains of the local pa. Known as Moumoukai, the Pa sat high above the district providing natural defences on three sides. The removal of native bush and other plant-life has meant erosion has disturbed much of the remains, leaving little evidence of the Pa’s existence today. Māori had known of the hot springs within the area from early on. They held and hold significance for local Māori as far north as Gisborne and south to Napier because of their healing qualities. 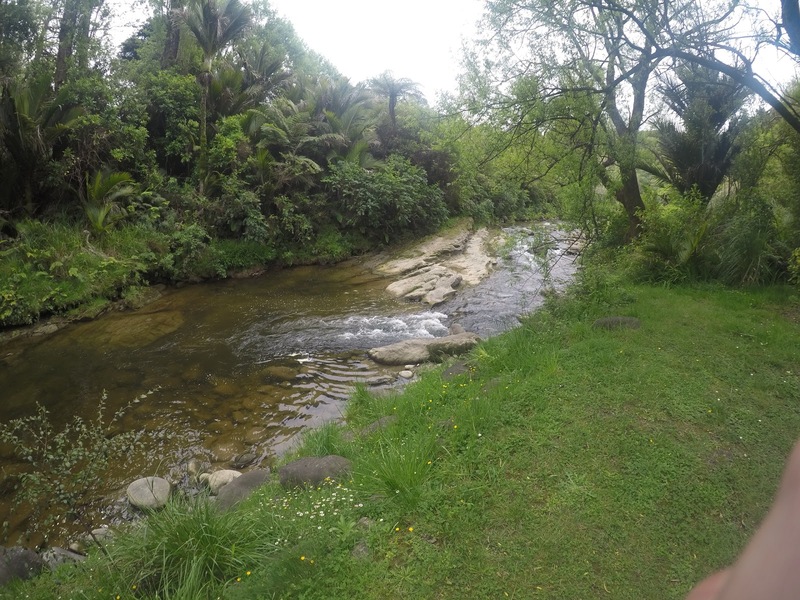 For Pakeha settlers who discovered the springs in 1884, they became a commercial draw card. With constant pressure from the local settlers and their complaints of ‘Māori monopolising the Springs’, the Lands and Survey Department were finally persuaded, in 1895, to gazette the springs and the surrounding 300 acres as a reserve. Land next to the Reserve was leased to a local settler who was to erect an accommodation house of not less than six rooms. It was built in 1898 and by 1920 the buildings could accommodate 100 people. After a devastating fire in 1905, which destroyed much of the virgin bush within the reserve, as well as the sparse accommodation, the Department of Tourist and Health Resorts took over the Reserve under the Scenery Preservation Act of 1903, and fenced it to keep cattle out and to enable the bush to regenerate. Behind this Act was the explicit drive to promote tourism and it resulted in the compulsory acquisition of scenic land as reserves. 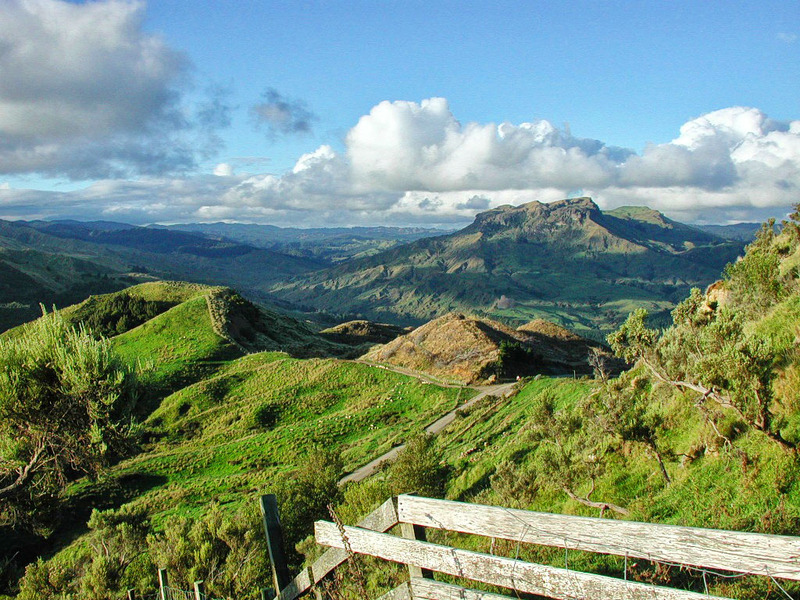 The rights of Māori to own and access scenic reserves became a point of heated friction as the Crown acquired more and more Māori land. By 1917, 63 reserves had been created from Māori land. 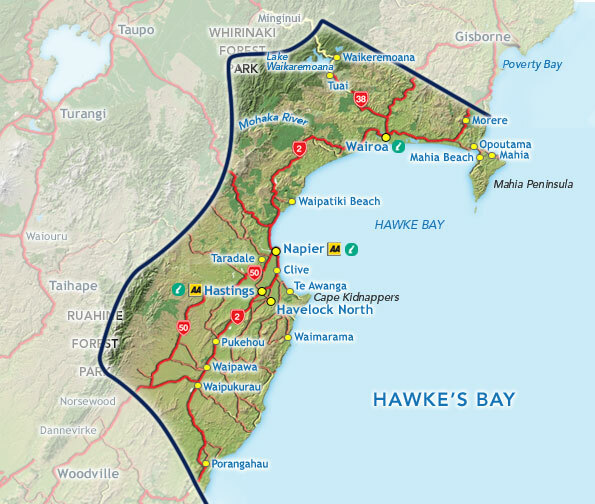 Only partial compensation for these reserves have been included in the historic claims to Māori in recent decades, being settled through the Treaty of Waitangi Land Claims. The small community settled the area quickly despite its isolation and almost impassable access. Ambitious schemes raised the confidence of the residents; a school settled in 1897, the Church was built, a dairy factory established, although short lived, a local store, the Springs Hotel built and rebuilt, purchased and resold on a number of occasions. The Local Settlers Association pushed for improved baths and the promised purchase and development of the Waikokopu harbour, the first Whaling Station in the area. 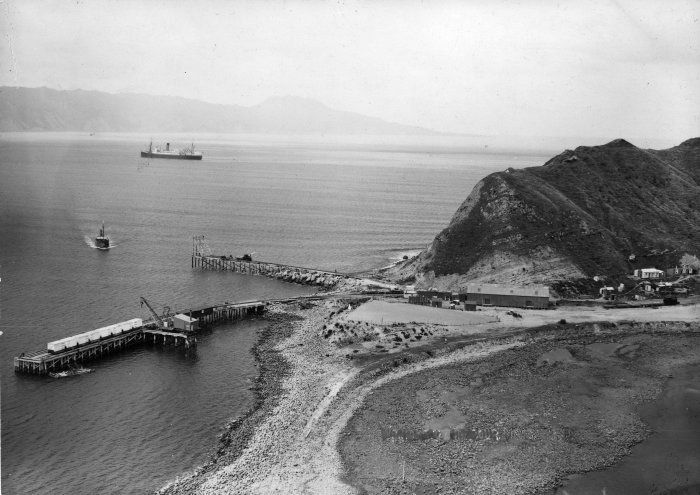 By 1910 the formation of a Port Company opened future opportunities for Morere to transport produce to Waikokopu instead of Gisborne. The area is renowned for heavy rain and flooding which devastated many of the dray tracks, roads, bridges, and farm properties. 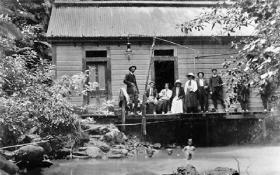 The Morere Springs tourist accommodation and bath house was swept away by one of the worst floods in 1910. Winter rains frequently cut off access to both Nūhaka and Morere but hope was ever-pre sent within the community that the Government would hear their constant angry appeals to upgrade the roads. Stories abound in newspaper reports of inaccessible roads, horses and coaches stuck in deep muddy ruts, passengers having to disembark and trudge through the mud, horses being swept away, accidents, mail delays, and milk carts stranded in attempts to reach the diary factory. The visit to the Shannon’s in April 1922, by the Rev. Dr. James Gibb, the past Home Missions Convener, had to be abandoned soon after he left Gisborne. Gibb, whose reputation as driver left much to be desired, wrote off his car. By the time Molly Shannon and her family left in August 1924, the access roads in and out of Morere had greatly improved although bridges continued to be swept away and roads washed out. For their three years in the parish, Molly and her father traversed the back regions of the parish on horseback, a new experience for the family from a middle class inner city parish in Edinburgh. Morere and Nūhaka Home Mission Station, initially fell within the bounds of the Presbyterian Parish of Wairoa. In 1897 residents Robinson, McIntyre, and Shaw set about gathering subscriptions to build a small church in Morere. According to the report substantial contributions were offered from outside the district. On Easter Sunday, 1899 Rev. William Raeburn officially opened St. John’s, their place of worship. The soiree and concert that followed on Easter Monday was a celebration for the whole community. The Church served as a school and a community centre until 1925 when a new school was built. Sadly, the Church is no longer standing. It was removed to another site, used as a barn and then destroyed by fire. I have been unable to discover the date for the building of Nūhaka Church but it appears in the district before the formation of the Nūhaka Māori Mission in 1913. The manse, is located at the end of the Morere stretch of road. Built in the first decade of the twentieth century it was leased to the Presbyterian Church. It is a typical, turn-of-last-century structure, a timber framed rectangle home with a veranda across the front. It was primitive by 1921 urban manse standards. There was no laundry or bathroom. Molly speaks of bathing in the Tunanui Stream, which ran close by the back entrance of the house. The stream has carried some devastating flood waters over the years the last being in 2010. Several attempts to redirect the stream has lessened some of the flood risk. As expected, the house has been renovated by various owners, but continues to reflect its early 20th century style. James Shannon with his family was the last Presbyterian missionary to live in Morere. 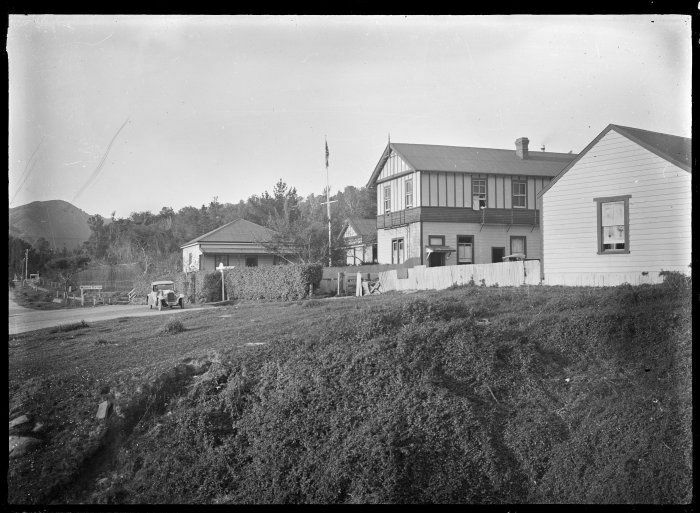 A property of 4 acres was purchased in Nūhaka eight kms south, which by 1924, was considered a more suitable centre for the Home Mission ministry. The intention was to see a closer relationship develop between the Pakeha ministry and that of the Māori Mission at Nūhaka. 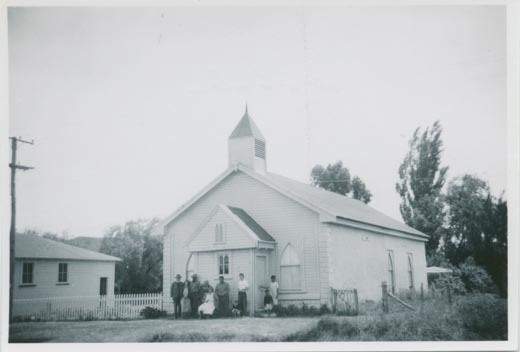 The Home Mission Station was reunited to the Wairoa East parish in the 1950s and is now part of the Wairoa United Parish. There is still that sense of the romantic in Nūhaka and Morere that Molly describes. Nūhaka has suffered more than Morere as people have moved away. It is a ghost of its previous self, yet the voices of the past can be found in its atmosphere of emptiness and the people who remain. Morere continues to provide its ‘healing waters’ to locals and tourists. There is a thick cover of regenerated native bush around the Reserve 100 years on. The modern sophisticated bathhouses are a far cry from those of an earlier era. The ministry of James Shannon and his family while at Morere and Nūhaka, and later Matawhero (I will tell that story in the future) was a far greater adventure than they anticipated, one that would have a significant impact on the direction of Molly’s future in New Zealand. Our Picturesque Heritage, 100 years of Scenery Preservation in New Zealand, by Tony Nightingale and Paul Dingwall, NZ Department of Conservation, 2003.